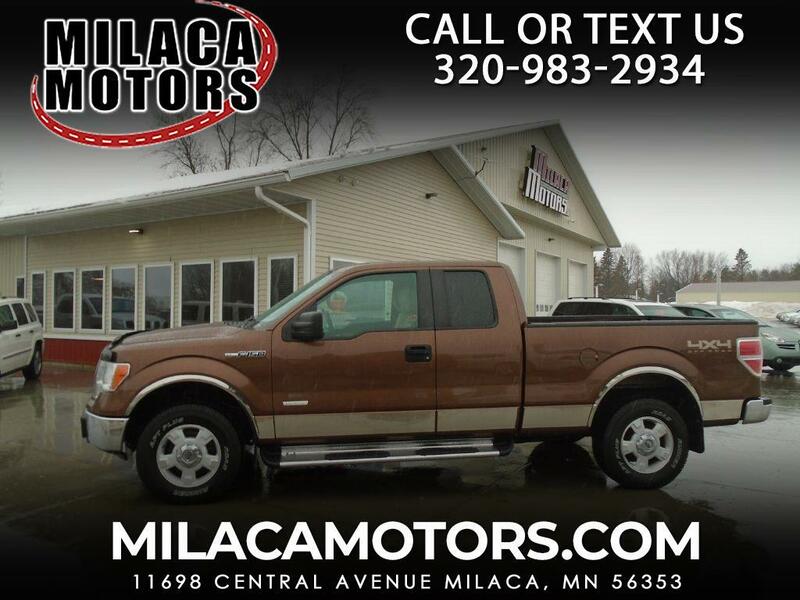 This sharp 2012 Ford F-150 XLT SuperCrew 4X4 shown in Golden Bronze Metallic is one nice truck! Powered by a TurboCharged 3.5 Liter V6 that offers 365hp on demand while paired with a 6 Speed Automatic transmission w/Tow/Haul Mode. This Four Wheel Drive helps secure near 22mpg while enjoying a quiet ride and find that reliability and performance are the reasons that have made the tough F-150 one of the top-selling full-size trucks on the market today! Inside our XLT, find a durable and stylish with comfortable seating for all and easy to read modern display center with great storage spaces. SYNC your phone to the AM/FM/CD stereo to become hands-free. Cloth seating, sound deadening carpet, add to the excellent acoustics that Ford offers along with all sorts of power gadgets that make every moment in F-Series a joy to drive or ride in. Ford always comes through with safety and F-150 ranks at the top. Its high strength steel safety cage keeps you secure along with 6 standard airbags, SOS post-crash Alert, Trailer Sway and Roll Stability control and anti-lock brakes. F-150 has everything you could ask for in a full-size truck. Whether it's for work or play you have made an excellent choice! Print this page and call us Now... We Know You Will Enjoy Your Test Drive Towards Ownership!